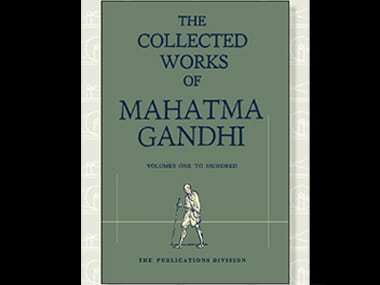 The Collected Works of Mahatma Gandhi (CWMG), a 100-volume record of Gandhi’s speeches, letters, editorials, and other writings complied painstakingly over 38 years, is now made future-proof, with the launch of the authentic electronic master copy. Information and broadcasting minister Arun Jaitley on 8 September launched the long-awaited e-version of CWMG, in the CD form, which was also uploaded on the Gandhi Heritage Portal (gandhiheritageportal.org). This would solve a couple of problems scholars and Gandhians had been facing for a while: on one hand, several volumes of the old print edition were often out of print, and on the other hands, the version available on several websites (except of course the Heritage Portal) was defective and inauthentic. With the digital version, the authenticated copy is available to all around the world, and reprint editions can be made available when needed. 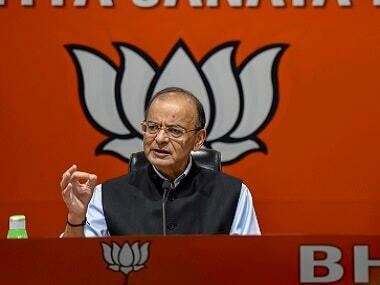 At the release function – held in the austere premises of the Gandhi Peace Foundation in New Delhi, Jaitley spoke of the intrinsic and heritage value of the e-CWMG project which has benefited from the collaboration and partnership of the institutions founded and nurtured by Gandhi himself. He urged the young generation to study CWMG and discover Gandhi’s unique vision on every aspect of life. Jaitley also mentioned that the Mahatma was a true visionary, whose thought process had touched various facets of human life. His understanding of a wide range of issues had enabled the creation of a moral environment which in the long run forced the British to leave India. His writings had been inspirational in weaving humanity together. The documentation of his work through an e-version was truly inspirational for followers on the e-platform. At the same time it was a truly collectors’ item available to all followers of Gandhiji’s philosophy. 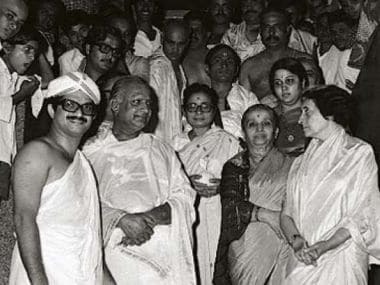 CWMG is a monumental document, envisioned by Jawaharlal Nehru in the 1950s, and prepared by a large team of editors who prepared volumes after volumes from 1956 to 1994, compiling his writings, in multiple languages and scattered all over the world, with stringent academic discipline and commitment to authenticity. The e-version – a two-CD pack or a pen-drive version encased in an elegant wooden box – will be available through the publications division of the information and broadcasting ministry by mid-October. It was in 2004 that the government had decided to take up the digitisation project to remove inconsistencies in some editions and to prepare a master copy for all time to come. The task was given to the Ahmedabad-based Gujarat Vidyapith (established by Gandhi), where a committee of three experts supervised the work. They were, Sudarshan Iyengar, then vice-chancellor, Gujarat Vidyapith, Tridip Suhrud, now director, Sabarmati Ashram Preservation & Memorial Trust, and Dinaben Patel, a renowned Gandhian scholar. A team of youngsters worked in a large cellar in the Vidyapith over the decade, and meticulously worked on each of the 55,000-plus original, yellowing pages of the ‘KS edition’ – named so after the famed editor K Swaminathan whose scrupulous labour has made CWMG a model for any work of its kind. The image of each page was converted into a searchable PDF after a lengthy process, fixing fonts and spaces once character at a time. The critical factor in the task was to retain the original architecture – volume structure, font structure, line structure, page structure – including its visual look – fully and loyally. Now, the 100 volumes of English edition are good, but what about the Hindi and Gujarati editions? 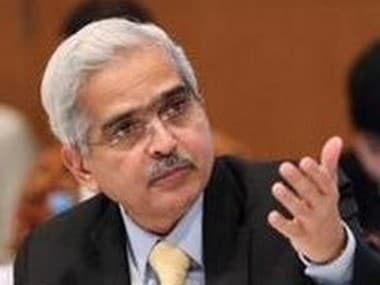 During the release function, Iyengar spoke of the need to digitise and prepare an authentic copy of the Hindi version, titled ‘Sampoorna Gandhi Vangmaya’, and in no time, information and broadcasting secretary Sunil Arora announced on the minister’s behalf that the proposal was accepted and details will be worked out. 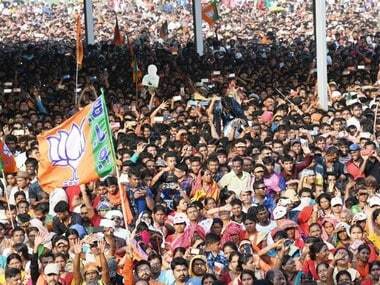 The task will once again be the labour of love for the Vidyapith itself, with the same experts. What next? Tridip Suhrud announced that e-CWMG was one effort, but the larger aim is to make the entire Gandhi archive – of documents, images, audio and all – electronically available to all through the Heritage Portal.